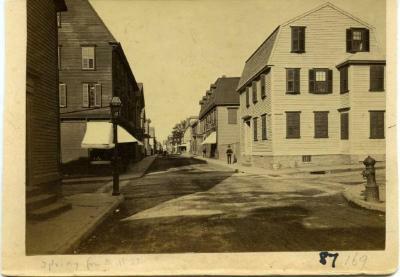 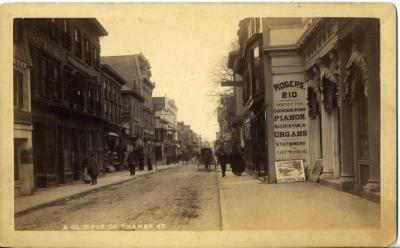 A matted photograph depicting a street railroad car traveling down Levin Street near St. Mary's Church (see left). 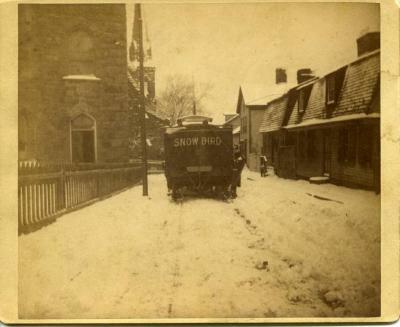 Road is covered in snow; signs on car read "BROADWAY" and "SNOW BIRD". 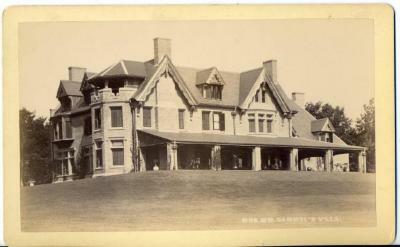 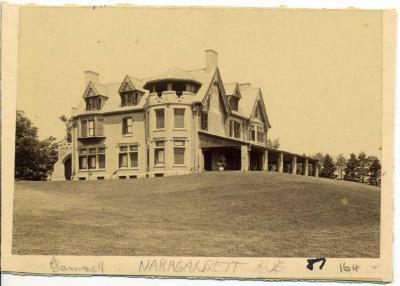 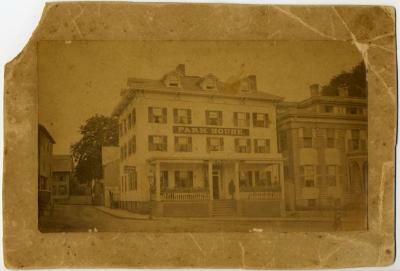 A matted photograph depicting Parkgate (later the Elks Lodge), a house located at the corner of Bellevue Avenue and Pelham Street. 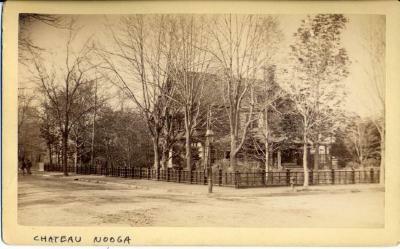 A fence, sidewalk, and leafless trees are visible at foreground. 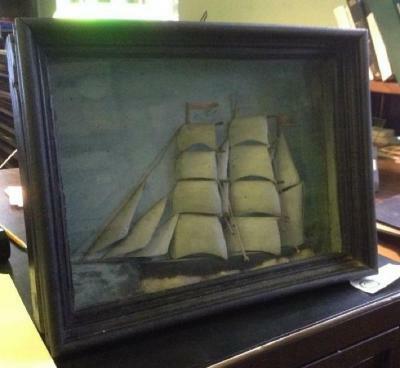 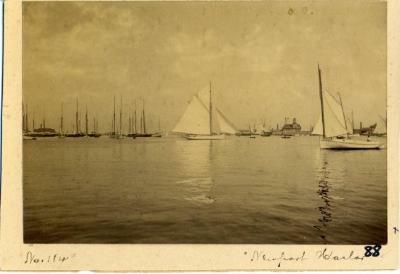 A matted photograph depicting sailboats in Newport Harbor. 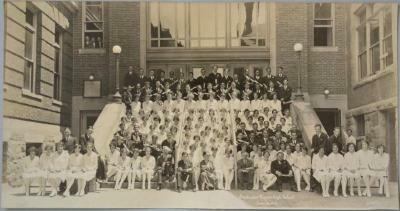 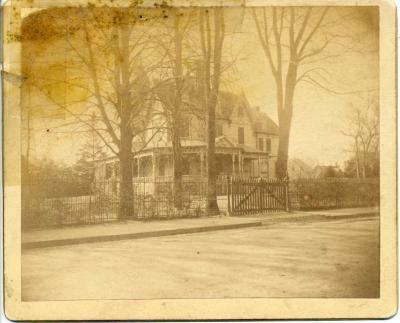 A handwritten caption on bottom edge reads: "No. 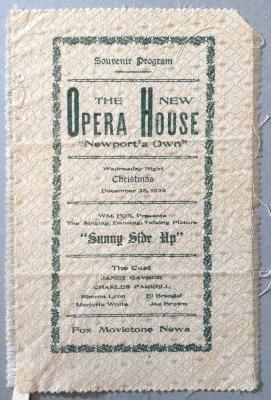 184 'Newport Harbor' 88." 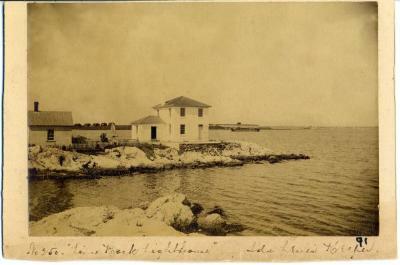 Photograph by Clarence Stanhope (c.1852-1924). 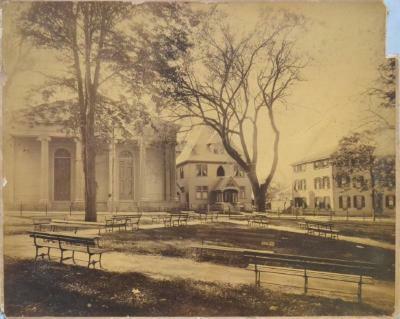 A matted photograph depicting St. Joseph's Church (Zion Episcopal Church), St. Joseph's Rectory, and a house from Washington Square. 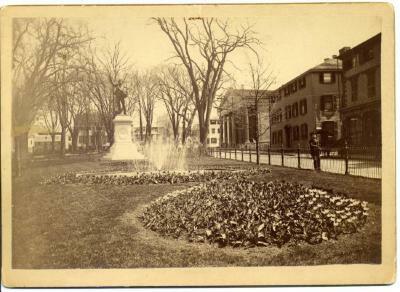 Benches are visible at foreground. 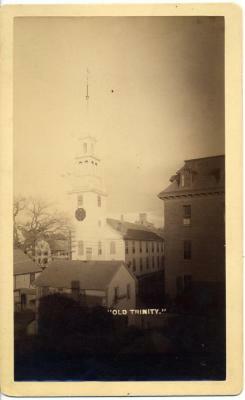 A photograph of Trinity Church from Mill Street. 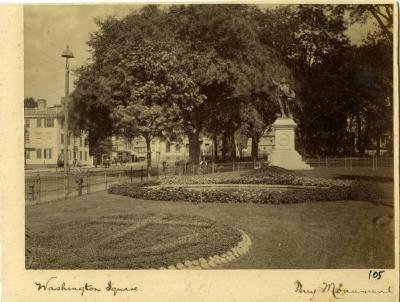 The Coddington School is visible at right; Masonic Temple is visible in the background. 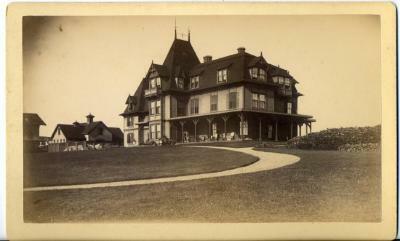 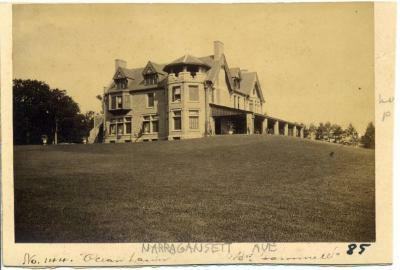 A photograph of the ocean-side facade of Ocean Lawn (also known as the Shaw Safe Estate and the Firestone Estate). 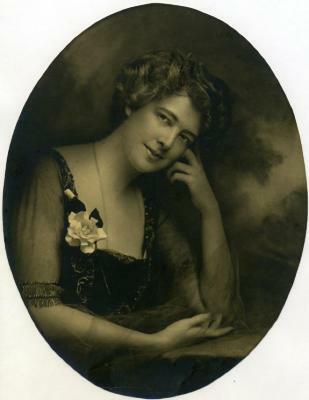 A photographic portrait of Miss Lydia Redmond. 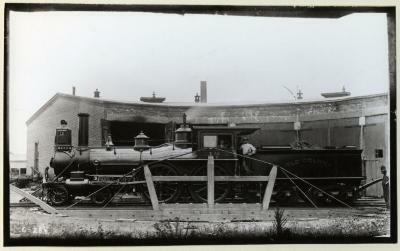 Photograph is cut into an elliptical shape. 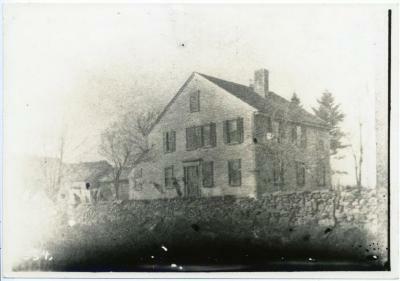 A photograph of the Weaver House, once located on West Main Road in Middletown, Rhode Island. 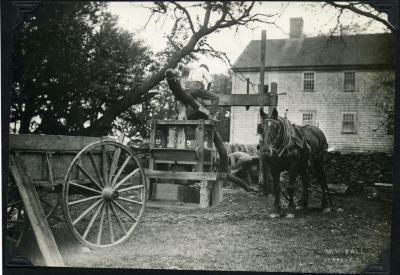 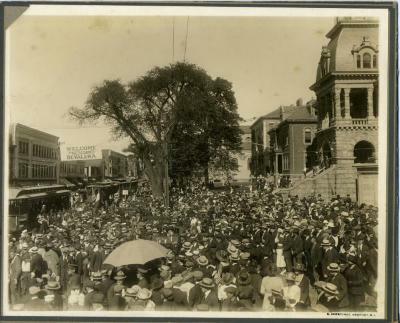 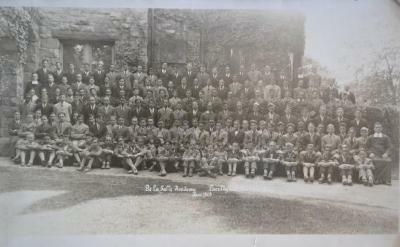 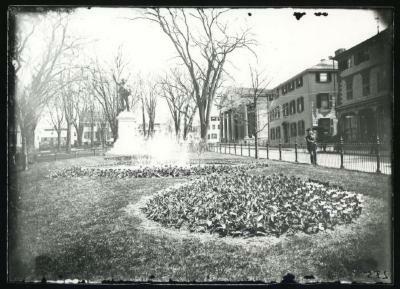 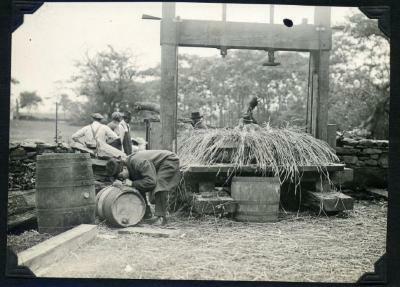 Image is a copy of a Covell print from a Clarence Stanhope negative. 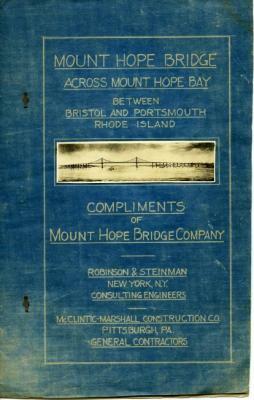 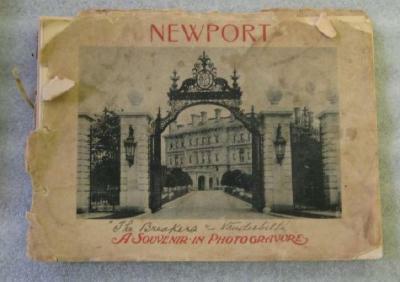 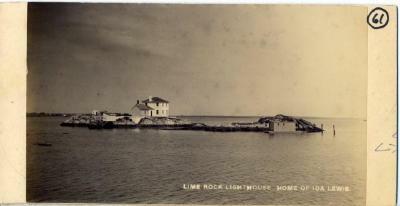 Dated May 23, 1929, this postcard is addressed to a Miss Edgar of Newport. 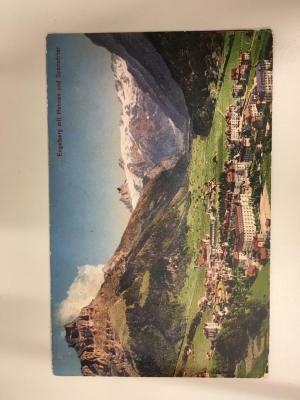 The writer mentions her time in Engelberg, where she went to the church and drove around on a beautiful day. 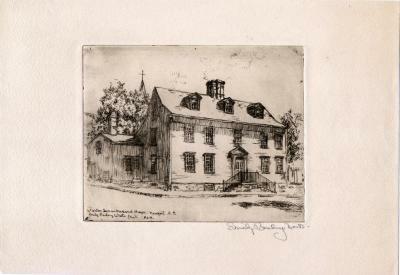 The old Captain Maudsley House (Spring and John Streets). 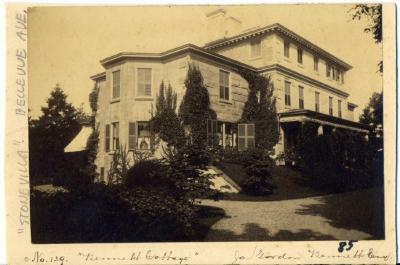 Wanton Lyman Hazard House, Newport, RI. 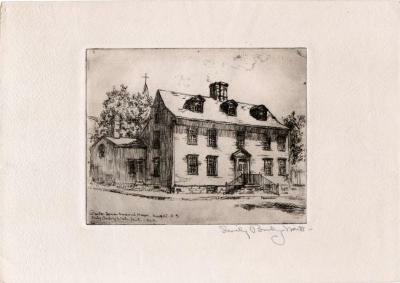 Etching PRINT (ETCHING): "WANTON LYMAN HAZARD HOUSE, NEWPORT, RI"
126 Bellevue Avenue Newport, R.I.